One of the most covered songs of the last 50 years is not from the Beatles but an old Oriental folk song. 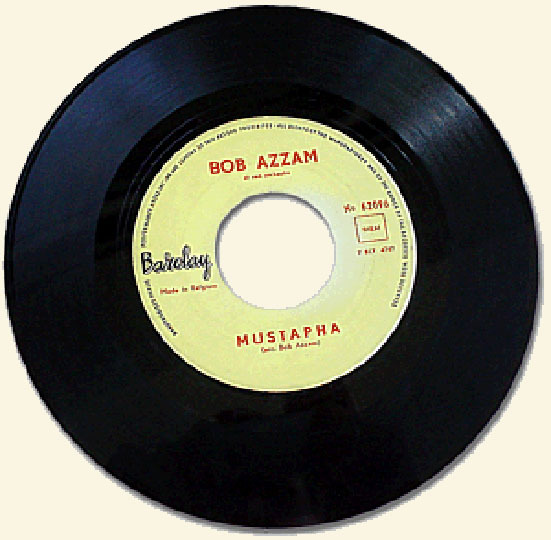 It seems that nearly everyone has heard at least one version of "Ya Mustapha!”, or "Ya Mustafa" as it is sometimes spelled. Many performers of Oriental dance (belly dance) know George Abdo's version of this piece on his album titled The Joy of Belly Dancing. 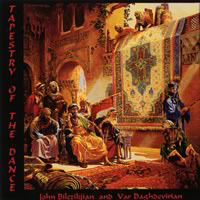 Another version of the song, arranged and played by John Bilezikjian on his album titled Tapestry of the Dance, is also popular with dancers. This familiar tune appears also on Mezdeke Volume 6, but there, its title appears as "Ruh Rahleh". On RaqsBand's CD titled Music Saqra Likes Volume 1, it's called "Funky Mustapha". It is difficult to track the roots of "Mustapha", but it is almost certain that they were in North Africa, and most probably, in Egypt. One source told me that the song appears in a popular old Egyptian film. What I know certain is that it is a popular party song in the entire Middle East! Como la salsa del pomodoro! The number, considered cute, was a big hit and progressed up to number 23 in the British hit charts. It even reached number 1 in Belgium! It also sold well in Greece, Italy, and Brazil. 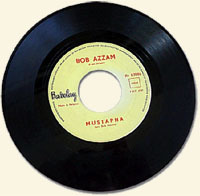 Bob Azzam recorded other songs such as, "Fais-moi du couscous chéri" ("Make couscous for me, darling"). Bruno Gigliotti (Orlando), the brother of famous singer Dalida, also covered the song. Bruno and Dalida grew up in Cairo where their father worked as first violinist at the opera. Dalida was crowned Miss Egypt in 1954, then appeared as a supporting actress in 1955 in the Samia Gamal movie A Glass and a Cigarette. Following her silver screen success, Dalida moved to France where she became a major star. Orlando became a famous singer in Egypt and worked in all the important nightclubs in Cairo. In the early ‘60s, he went to Paris to become a big star like his sister. He remembered short parts of the song "Ya Mustapha” and recorded it. Therefore, long before Raï was developed in North Africa, Orlando became the first singer to record a mix of both French and Arabic lyrics. Two of his other songs were entitled "Fattouma" and "Ali Baba," and he recorded repeatedly in both French and Italian. From 1966 on, he served as the Artistic Director and Producer for Dalida. After its initial successes, "Ya Mustapha" did not fade from popularity. On the contrary, the simple melody, which enables everyone to join in and sing along, soon became a standard and still belongs in the repertoire of every presentable French karaoke-list, as well as band repertoire, around the world. The best-known interpretation in Turkey is by Dario Moreno. 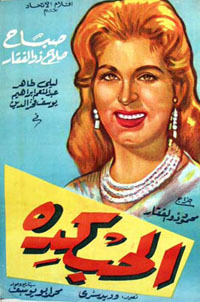 Dario Moreno co-starred with the Lebanese actress Sabah in a 1962 Egyptian movie titled El Hob Keda (So That's Love) and sang this song in this movie. In the background of that scene, there is a row of four men dancing in place while a couple dances together in front of them. The man closest to the stage, to the right of the band wearing a light-colored suit, is a young Mahmoud Reda. Over the years, uncountable versions also appeared in every language: Maltese, Flemish, Hindi, English, German and others. Most of the versions are parodies and comical numbers; some include raunchy lyrics. In a German version that Leo Leandros sang in the early 1960's, there is a lyric stanza about a nut seller in the bazaar who falls in love with the sultan’s lovely daughter. The French label APC produced a 1994 album titled "Think about Mustapha" that unites nine versions and interpretations of this song: a jazz version, a ‘60s surf sound, raï, and even a fusion version featuring an Indian sitar! Beware! The Arabic name Mustapha is very popular and not every song with “Mustapha” in its title is related to the one discussed in this article! The Queen’s album, “Jazz,” includes a song called “Mustapha,” and The Clash feature their “Mustapha Dance” (better known as “Rock the Casbah”). Additionally, a "Ya Mustapha" exists by the Sabri Brothers who ordinarily play religious Qawwali music, however, all these are actually entirely different songs with only the title in common. This ring tone was found at www.rannat.com. Take care when visiting the site - some people have reported issues with it. This article originally appeared in the German dance magazine Halima and on the Gilded Serpent e-zine web site. It appears here on Shira.net with the permission of the author. Meissoun lives in Zurich where she has been learning, teaching and presenting Oriental dance since 1990. Besides classes and workshops with various teachers she has also travelled to Beirut several times to learn Lebanese dance style. She has broad performance experience, ranging from private parties and restaurant gigs to corporate events and theater stages. Since 1997 Meissoun has been studying Bharata Natyam and can present a respectable repertoire of choreographies. She has also learned Indian folk dances such as Bhangra. Thanks to all this knowledge she is also a skilled dancer and teacher for Bollywood dance which she has done since 2000. Of all the dancers from Switzerland, Meissoun is the Oriental and Bollywood dancer most highly in demand internationally and is regularly invited to dance festivals all over Europe and America. She has performed in two of the prestigious IAMED shows in Los Angeles and can be seen on the performance videos of these events. Photo by Michael Baxter, July, 2008. Meissoun has produced 3 instructional videos, for Lebanese style and Bollywood dance.